VanbredaNieuwsDo you have to provide your employee with the statutory and contractual pension statement? Do you have to provide your employee with the statutory and contractual pension statement? Most insurers will issue two different pension statements from now on. Do you have to provide your employee with the statutory and contractual pension statement? 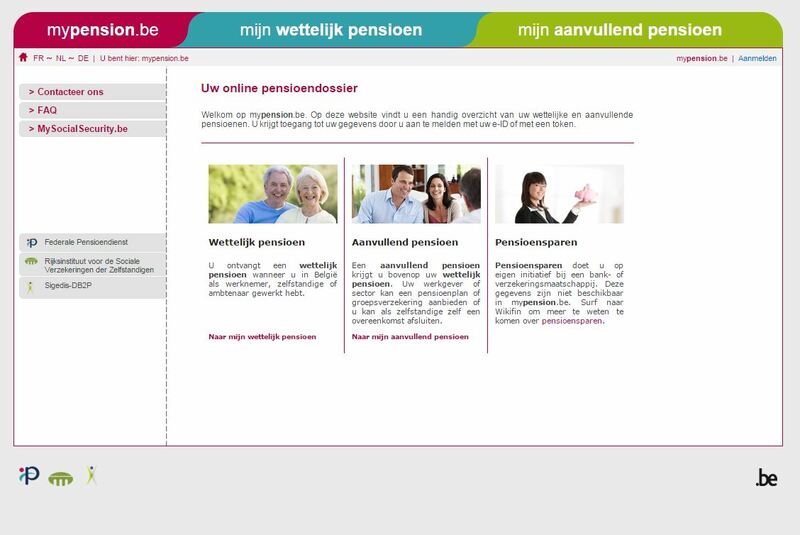 At the end of 2016, all citizens will be able to consult the data about their supplementary pension on the mypension.be website. At the end of 2016, all citizens will be able to consult the data about their supplementary pension on the mypension.be website. The online data will always relate to the situation as at 1 January of the year in question. In order for this data to correspond with the annual pension statement (benefit statement) from the insurer, insurers are by law required to issue a uniform pension statement that shows the position on 1 January, even if the group insurance has a different annual review date. From now on this pension statement will only be prepared for active members; dormant members and retirees can consult their supplementary pension rights on mypension.be. 2. a contractual pension statement showing the position on the annual review date, if other than 1 January, or with additional data not given on the statutory pension statement. The insurer – and by extension the employer – is only required to issue members with the statutory pension statement showing the position on 1 January. However, we do recommend sending out the contractual pension statement too, as that statement shows any changes made (e.g. following a salary increase). You can also download this article in pdf-format.